If your home suffers from air leaks or needs additional insulation, it could be counter-productive to buy a new or better-quality heating system. If you want to keep this from happening to you, you need to make sure to insulate your home properly and keep it draftproof before you purchase a new or upgraded heating system. 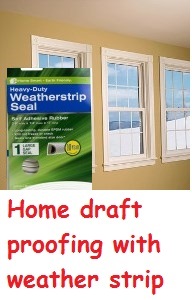 There are several advantages to insulating and draftproofing your home. – First, heating your home will not cost you near as much. – Second, your home will feel warmer and it won’t have a lot of drafts. – Third, your home will feel cooler during the summer months. – Fourth, your home won’t be as dry during the winter, which happens when having an excessive amount of outside air getting inside. Bear in mind that while the relative humidity is high for cold outside air, the water vapor in the cold air is actually low. When outside air comes inside the home and heats up to room temperature, it becomes very dry. Should the air inside your home become excessively dry, you do have a simple solution, which is to add moisture to it. This comes in the form of an evaporator tray or humidifier. But, by far, the best method to reducing the heating costs and increasing the humidity levels is to eliminate air leakage. The majority of homes that have no air leaks never need a humidifier. The moisture produced through various activities – dishwashing, bathing and cooking is adequate. When the house is airtight, the air quality inside is affected. 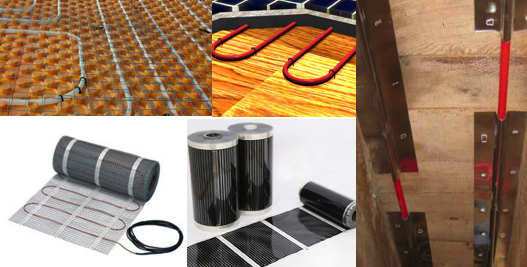 It means odors, unwanted fumes, gases and excessive humidity stays trapped in the house. The best way to handle it is to have a mechanical ventilation system or fresh air intake. This will bring in and allow fresh air to flow about without causing any drafts. If you caulk, insulate or weatherstrip your home, it lessens how much heat your home needs to keep warm. If it’s not thoroughly drafted or insulated, be sure to do this before you change the heating system. When you buy a heating system, you want one that’s got the right heating capacity. However, insulate and draftproof the home before you determine your heating system’s size and equipment. Too big of a furnace could unnecessarily waste your fuel since they operate in short, recurring cycles. They can also cause you discomfort since it results in extreme temperature fluctuations. If you’re in the process of building or buying a new home, ask for the R-2000 standard. These homes have airtight construction, energy efficient doors and windows, high insulation levels and various other features to help reduce your heating needs. I’m shocked why this accident did not came about earlier!